Feasibility and Pilot Testing of SBI to Reduce Alcohol Misuse among Active Duty Members in a Military ER Setting. Environmental Correlates of Alcohol Misuse in the US Marine Corps. Driving Under the Influence Program (DUIP) Service. Funding: County of San Diego. e-YEAH! : Evaluation of Youth Engagement and Action for Health Program. Funding: Robert Wood Johnson Foundation. Screening and Brief Intervention for Latino and non-Latino White Drug Users. Analyzed three recent program initatives and developed findings which can be utilized in future initatives. Involved the development of a web-based MIS for human services and a training video & manual for integrated team case management which incorporates the “best practices” in the field of family support. This project involved coordinating the statewide efforts to develop family resource centers and provide them with the T&TA needed to develop and maintain quality programs. The goal of this project is to design and develop an evaluation tool to assess the process and outcome goals of alcohol and other drug prevention coalitions. The project will result in a self-administered tool that is grounded in current organizing theory related to AOD prevention. The project will also seek to establish the construct validity and internal consistency of the measure. Focus groups and interviews are being used to evaluate a project which provides college coursework and community service experience for urban high school students. Evaluation of technical assistance being provided to the Proposition 10 Commissions in all California counties. Evaluation seventeen programs throughout California implementing a child abuse prevention model including multidisciplinayr teams, home visiting, and family resoruce centers. Using random selection, 400 liquor licensees will be interviewed by trained research staff to determine the extent and nature of responsible beverage server training in San Diego County. Results of the survey will be used to plan for new responsible beverage training programs in San Diego. Despite years of successful alcohol and other drug (AOD) prevention efforts at SDSU, there is a need to expand AOD prevention efforts beyond the geographic boundary of the campus.  This proposal responds to Absolute Priority 1 and presents a theoretically sound, empirically-based project that builds upon SDSU’s Decade of AOD prevention experience and success. The project design includes an environmental scanning system, a community/university prevention coalition, a data-based social marketing campaign, and a comprehensive process and outcome evaluation system. Research contract and report on Women, Domestic Violence, and Post-Traumatic Stress Syndrome from the California State University Faculty Research Fellow Program for the California Governor’s Office of Planning and Research. Investigated domestic violence and PTSD services and programs throughout the California counties’ Health and Human Services Departments. The Driving Under the Influence Program (DUIP) began in January 1991, under a contract with the County of San Diego to provide drinking driver education and counseling services in the Central Judicial District of San Diego County. The DUIP provides services to approximately 3500-4000 first and multiple conviction offenders per year. Participants are referred by the Courts or the Department of Motor Vehicles in California and in some instances, from other states. The primary mission of the DUIP is to help reduce the incidence and prevalence of driving under the influence and the negative consequences of this behavior for our community and its residents, and to assist participants in identifying and seeking solutions to their own alcohol and other drug problems.